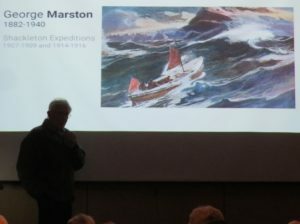 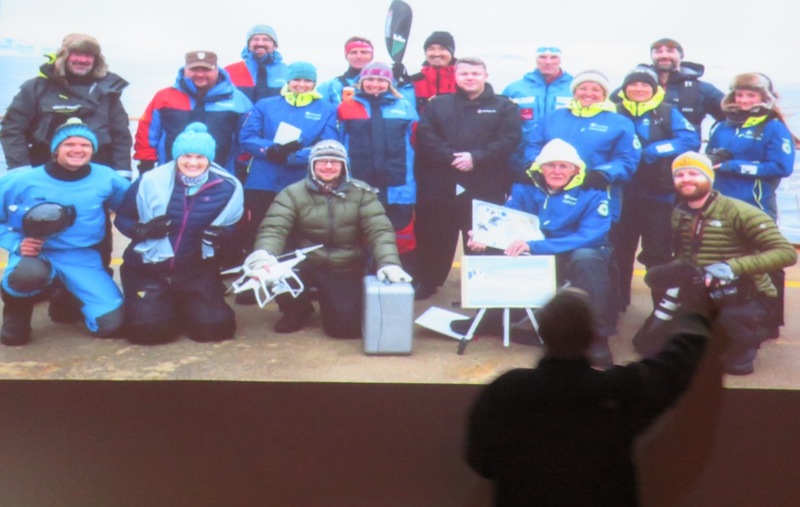 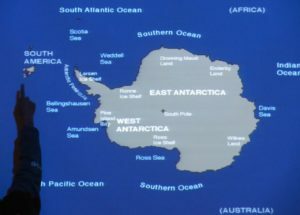 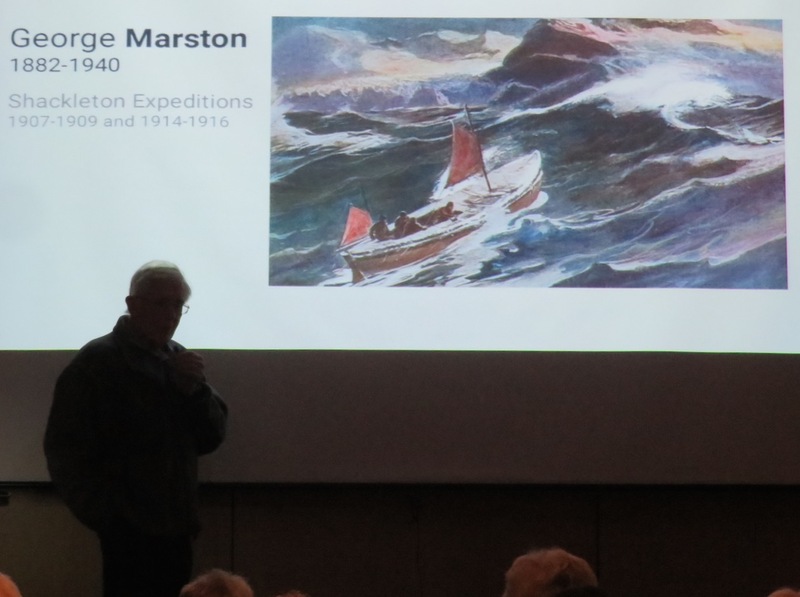 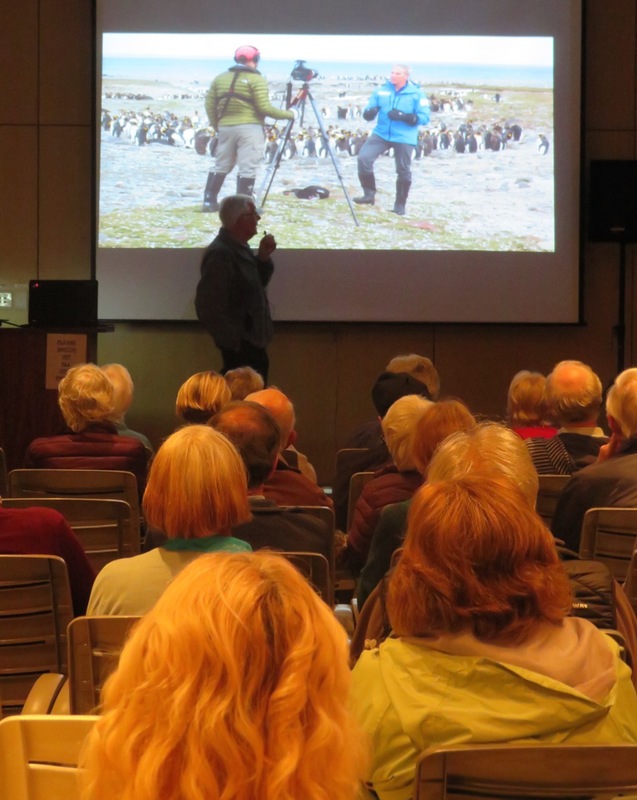 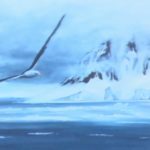 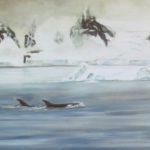 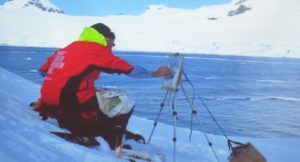 Dr Roger Melvill – neurosurgeon, mountaineer and artist – was the official doctor on the Lewis Pugh expedition to Antarctica and we were lucky enough to have him at the SASA members’ meeting on Thursday 26 April to tell his tale. Dr Melvill spoke of the wonderful work done by the Lewis Pugh Foundation for the preservation and conservation of the world’s oceans. 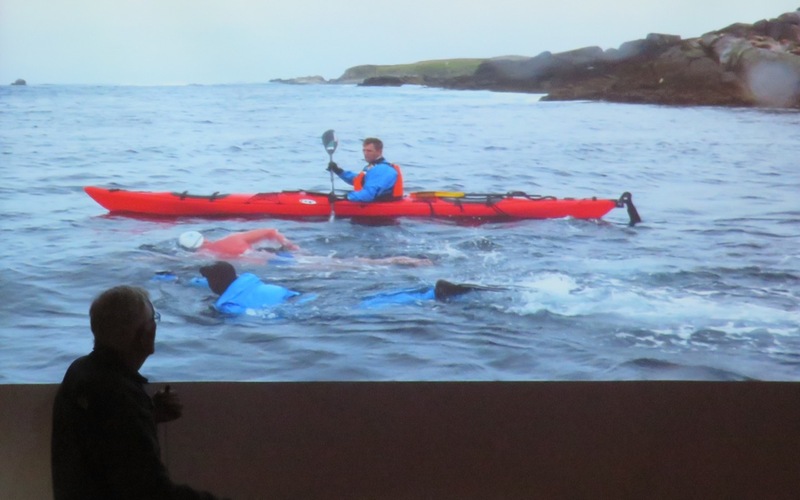 To draw attention to this cause, Lewis Pugh himself has completed long-distance swims in every one of those oceans, often in near freezing water. 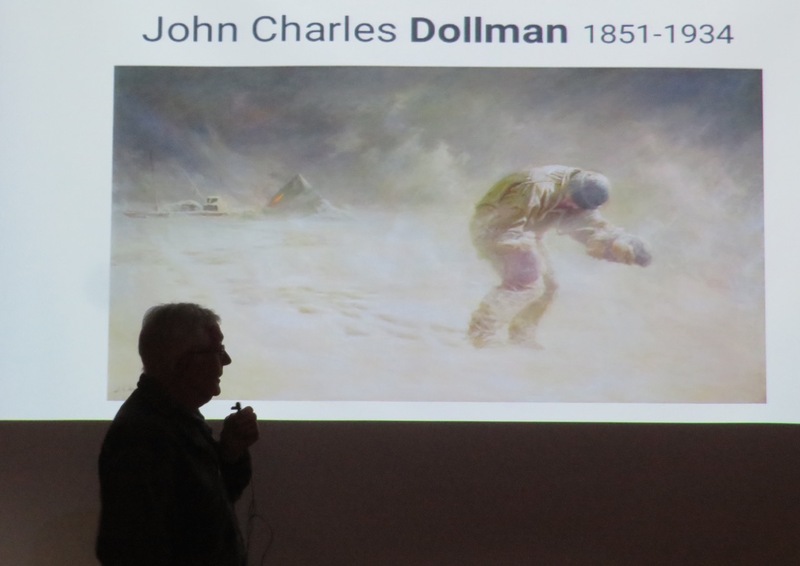 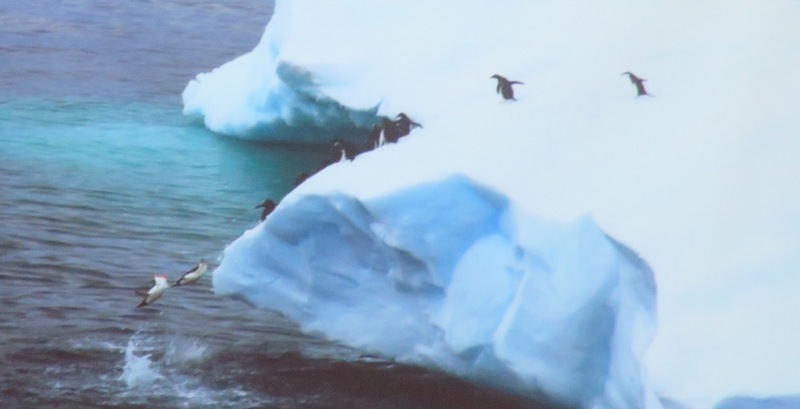 From Dr Melvill’s slides, we saw how breathtaking – both literally and figuratively – the area is, in it’s starkly beautiful scenery and it’s icy cold temperatures. 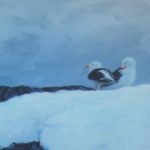 Luckily, he often had time to set up his easel and paint en plein air, capturing the magnificence of the landscape and birdlife, as have many other artists before him, on similar expeditions, one of whom was our very own Yvonne Ankerman. The earliest of these did it out of necessity, having no cameras in those days, with which to record events. 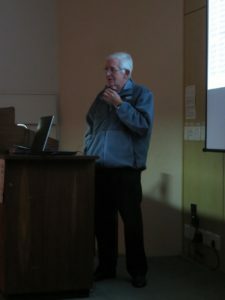 Thank you, Dr Melvill, for a fascinating evening. 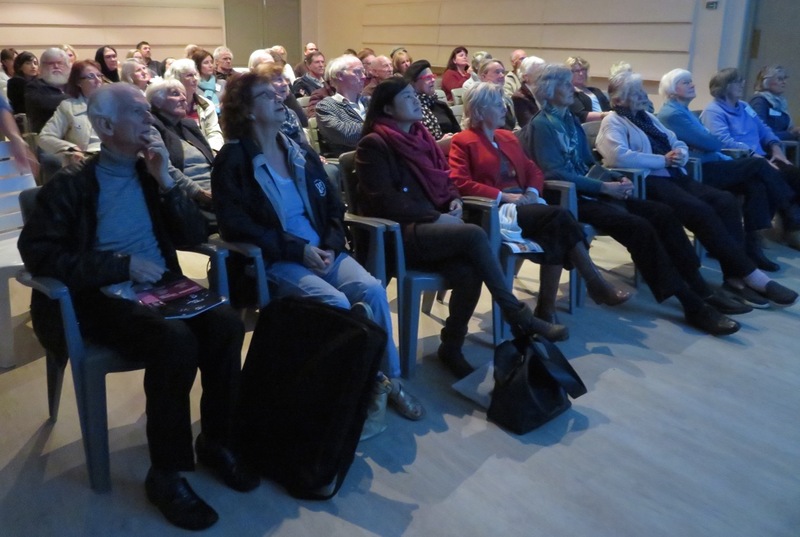 You kept your audience spellbound right from the start, to the final word! 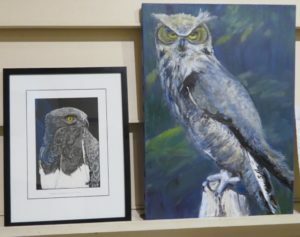 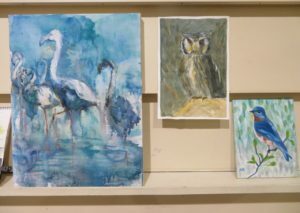 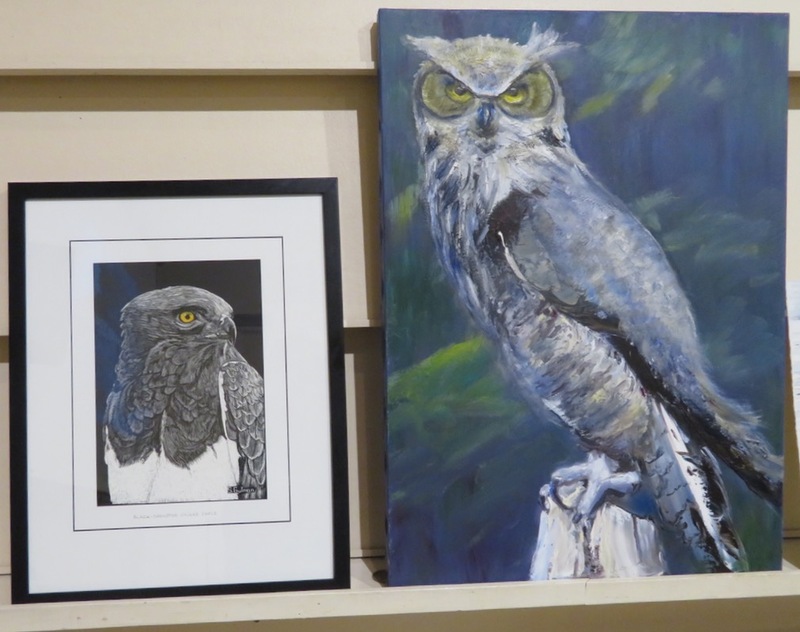 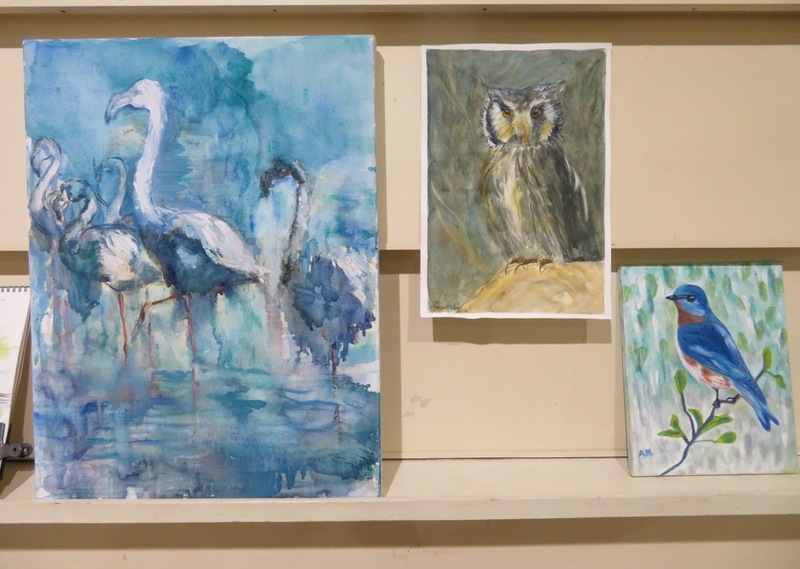 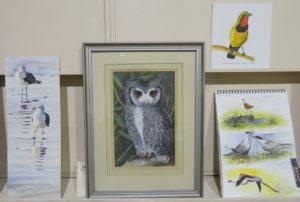 In honour of the “Year of the Bird”, members were asked to bring a bird painting with them – here is a selection of those.